You have to laugh at some of the stuff you find on the Internet, especially when you read articles like the one yesterday from the Football Fancast network which suggests Spurs players might go out on loan to the Championship. Alex Pritchard was the main one during the last transfer window and now I see an article suggesting who Wolves could snap up on loan, I literally burst out laughing when I read the first name, Clinton Njie. There is no benefit to him dropping down to weaker football, he has to learn Premier League standard and with all due respect to the Championship, it isn't Premier League standard football. He is a long way down the pecking order and must be desperate for more minutes, is the author unaware he happens to have been and is still injured? He will train with the first-team over the summer and start to come into his own next season you would expect. We certainly haven't bought him to send him to the Championship. It doesn't get any better as the author then suggests Josh Onomah should stall his career by going backwards and joining Wolves. The young lad is getting game time in Europe and in the Premier League, he is being fast tracked and will be a part of the first team squad next season. Why on earth would we want him to take a step-down? If he were to go on loan anywhere, and I don't see that happening at all, it would be to a Premier League club. They save perhaps the best until last. Ryan Mason. 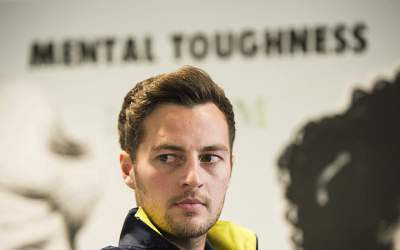 Yes, the author suggest Ryan Mason should be snapped up on loan by Wolves! He has just captained us in the away leg of a European tie and played in the home leg. he is valuable to the squad, the words of club captain Hugo Lloris. Mousa Dembele is injured and Mason is a proven Premier League Performer now and we are chasing a title. The logic of stepping down to the Championship for a proven Premier League performer escapes me and while his side are chasing two trophies it makes even less sense. I think the author of the piece needs to seek medical help, there is clearly something wrong with him. Harry Winks and Kyle Walker-Peters you could make a case for but for the other three, Mason, Njie and Onomah, it is quite frankly absurd. It is pieces like this that highlight why news regurgitation sites and sites written by staff writers, who have no actual interest in the team they are writing about, are a complete waste of time for the reader. Articles like this are just one of the reasons why I chose for this website not to join the Football Fancast network.